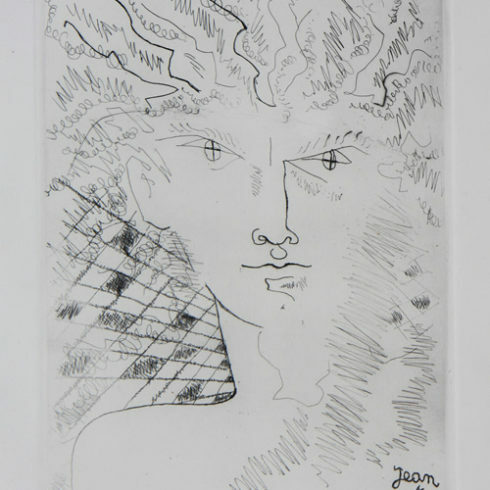 Our Fine Art Gallery has the finest quality Jean Cocteau original prints, lithographs, drawings and posters for sale. We have a large inventory available off-site and we encourage you to make an appointment to see specific works you are looking to collect. We are happy to meet you at either our art gallery showroom or at your home or office for a private presentation. The French poet, writer, artist, and film maker Jean Maurice Eugene Clement Cocteau was born to a wealthy family on July 5, 1889 in a small town near Paris, France. 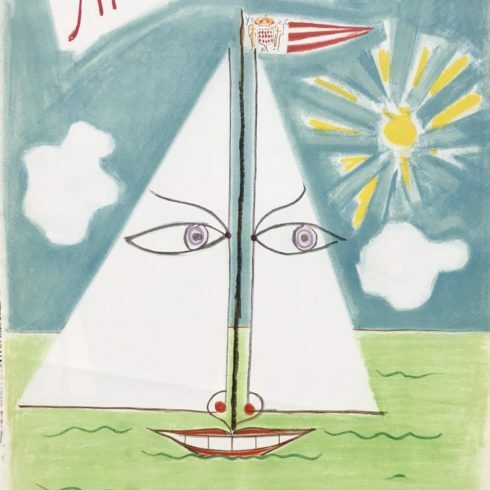 Cocteau’s father commited suicide when the boy was about ten years old—Jean will not publicly speak of the tragic event until 1963, the year of his own death. The family continued to live with his maternal grandparents and young Jean is brought up in an environment where the art, music and theater are held in high esteem. In 1900, Cocteau entered a private school and was expelled in 1904 due to chronic absenteeism (he was often in ill-health as a child). After his expulsion, he took private lessons and he began to draw profusely. After failing his baccalaureate, Cocteau ran away to Marseilles where he lived in the “red light district” under a false name. His brother located him in Marseilles and returned him to his mother’s care. 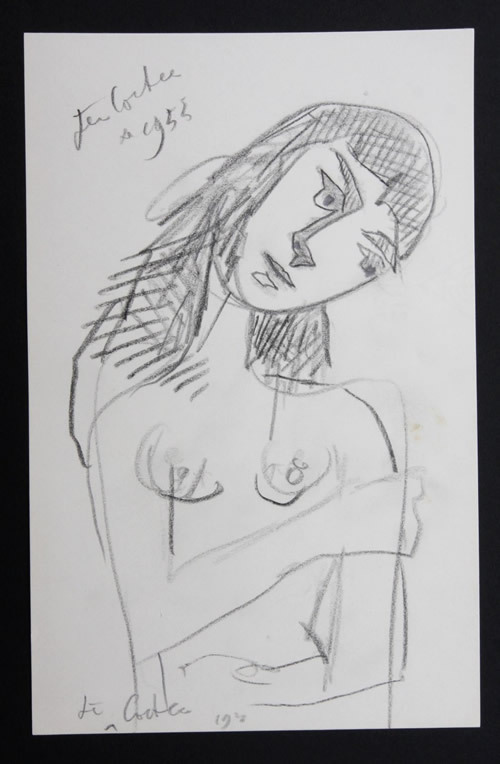 At the age of 17 or 18, Cocteau fell in love with a cabaret artist, Jeanne Reynette, who was 30 years old at the time. The infatuation lasted for two months. In 1908, Cocteau associated himself with Edouard de Max, a reigning tragedian of Paris stage, who encouraged Cocteau to write. On April 4 of that year, de Max rented the Theatre Femina for the premiere of the young writer’s poetry. In 1909, Cocteau met the Russian impresario Sergey Daighilev who ran the Ballets Russes. Daighilev encouraged Cocteau to venture into the genre of ballet. The Russian challenged Cocteau to “Ettonne-moi” (Surprise me). The remark pushed Cocteau to write the libretto for an exotic ballet called ‘Le Dieu Bleu’. During this time, Cocteau also met composer Igor Stravinsky who was working on his composition ‘The Rite of Spring’. In the spring of 1914, Cocteau visited Stravinsky in Switzerland. 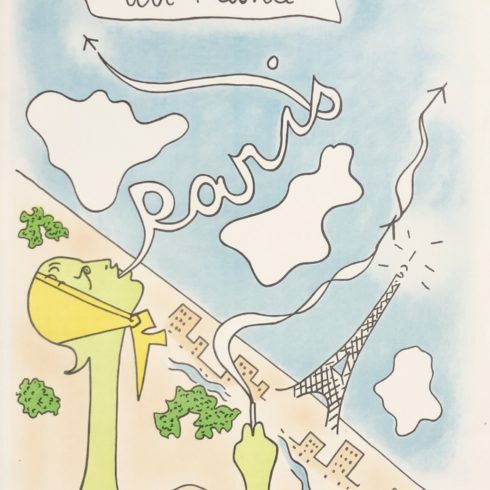 It was during this visit that Cocteau finished his first book ‘Le Potomak’. The First World War broke out in the summer of 1914 and though Cocteau never served in the military, as he was ruled as unfit, he did help run an ambulance service on the front lines. Cocteau returned to civilian life in 1915. 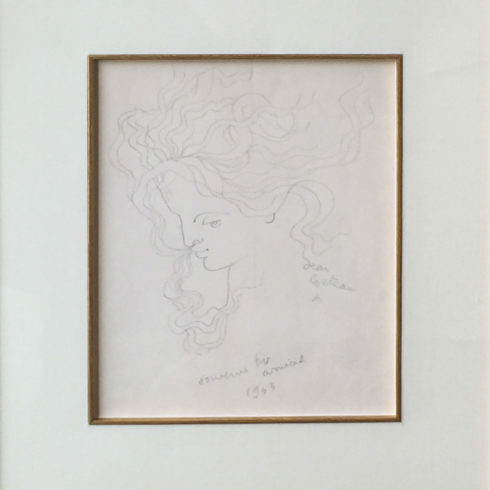 After the war Cocteau continued his association with several well known artists. He founded a publishing house called Editions de la Sirene. The company published Cocteau’s writings and many musical scores of Stravinsky, Satie and a group of composers known as ‘Les Six’. In 1915, he met Pablo Picasso. Cocteau and Picasso went to Rome where they met up with Diaghilev. In 1917, Cocteau helped prepare the ballet ‘Parade’. Picasso designed the sets, Erik Satie wrote the music, and the ballet was choreographed by Leonide Massine. The public and the critics were more surprised than scandalized by the music, sets and costumes at the 1918 Paris premiere. Cocteau was one of the witnesses at the 1918 marriage of Picasso and Ballet Russes ballerina Olga Khokhlova. In 1919, Cocteau formed an intimate friendship with young novelist, Raymond Radiguet who strongly influenced Cocteau’s art and life. Radiguet would die from typhoid fever in 1923. His death was a severe blow to Cocteau and drove him to use opium. 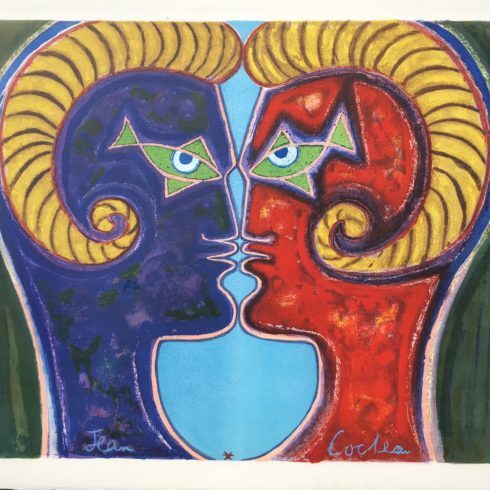 During Cocteau’s recovery from his opium addiction, the artist created some of his most important works including the stage play ‘Orphee’, the novel ‘Les Enfants Terribles’ and many long poems. In 1930 Cocteau’s first film, ‘Blood of a Poet’, was released. The film was a commentary on his own private mythology. Cocteau designed the work concerning the adventures of a young poet condemned to walk the halls of the Hotel of Dramatic Follies for his crime of having brought a statue to life. In the early 1930’s, Cocteau wrote what some believe his greatest play ‘La Machine Infernal’. The play was a treatment of the Oedipus theme. Cocteau also wrote The Human Voice (1930), The Knights of the Round Table (1937), Intimate Relations (1938) and The Typewriter (1941). During the next 15 years the artist’s work lapsed. One reason for this was his recurring addiction to opium. His return to work in the early 1940’s was primarily due to the influence of his close friend, actor Jean Marais. In 1945, Cocteau directed his adaptation of The Beauty and the Beast. The film marked a triumphant return of Cocteau to the screen. Marais starred in the film as the Beast, Beauty’s suitor, and the Prince. 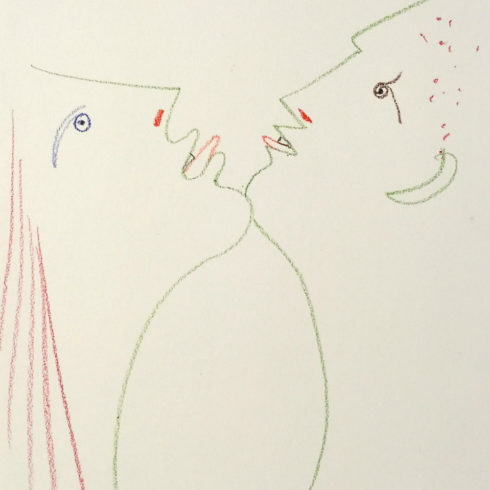 In 1950, Cocteau used his artists’ eye to decorate the Villa Santo Sospir in Saint-Jean-Cap-Ferrat and begin a series of graphic works. Three years later he had an exhibition of his paintings, drawings and tapestries in Nice. Later that year, he attended the Cannes Film Festival where, as President of the Jury, he was required to attend every screening. In July he traveled to Spain where he attended numerous bullfights, discovered flamenco and met Salvador Dali. On January 11, 1955 Cocteau was elected to Belgium’s Royal Academy of French Language and Literature. In 1959, Cocteau made his last film as a director: The Testament of Orpheus. The elaborate home movie stared Cocteau and also featured cameos from many celebrities including Pablo Picasso, Yul Brynner and Jean-Pierre Leaud. Jean Cocteau died of a heart attack at age 74 at his chateau in Milly-la-Foret, France on October 11, 1963 one hour after learning of the death of his friend singer Edith Piaf. He was laid to rest in Milly five days later.